In a large skillet over medium high heat, saute peppers, onion, and garlic until softened. Add ground beef and cook until brown, about 5 minutes, stirring occasionally. Stir in remaining ingredients and bring to a boil. Season with salt and pepper, to taste. Lower heat to medium low and simmer for 30 minutes. 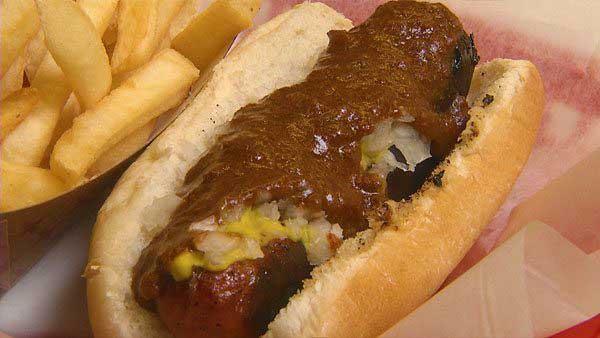 Assemble chili dog: On a warm hot dog bun, place linguisa sausage, spread mustard, onions and ladle chili generously.